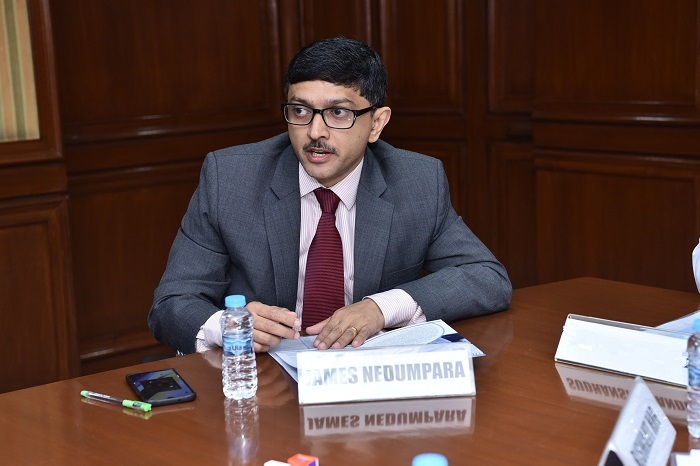 James J. Nedumpara is Professor and Head of the Centre for International Trade and Investment Law (CTIL) at the Indian Institute of Foreign Trade (IIFT). In this capacity he advises the Government of India on various aspects relating to international trade and investment law. He is currently on leave from Jindal Global Law School where he joined as a founding faculty. James has several years of experience in the field of international trade and economic law and has worked with leading law firms, corporate firms and also UNCTAD's India programme before joining academia. He was also part of the Indian delegation that appeared in the recent proceedings on India – Agricultural Products (Avian Influenza dispute) before the WTO Appellate Body. James has also taught as a visiting faculty at FGV Law School, São Paolo, Brazil, ITAM Mexico City, NLSIU Bangalore and the CWS-WTI Joint Summer Academy. He has also served visiting fellowships in a number of law schools and has published several books and journal articles in the field of trade and investment law. James is also an academic supervisor of TradeLab, a global network of legal clinics and practica spearheaded by Professor Joost Pauwelyn that seeks to establish and empower developing countries, SMEs, universities and civil society to build lasting legal capacity in international trade and investment law. 5th RGNUL Multidisciplinary Congress on the topic "Foreign Direct Investment in South Asian Region"